For those who’ve always wanted to take an around-the-world trip but couldn’t afford it or take the time off work, an alternative is a visit to New York City. A melting pot of cultures, New York makes it possible to travel through Europe, Asia, Africa, the Middle East, South America and beyond without ever leaving the metropolis. 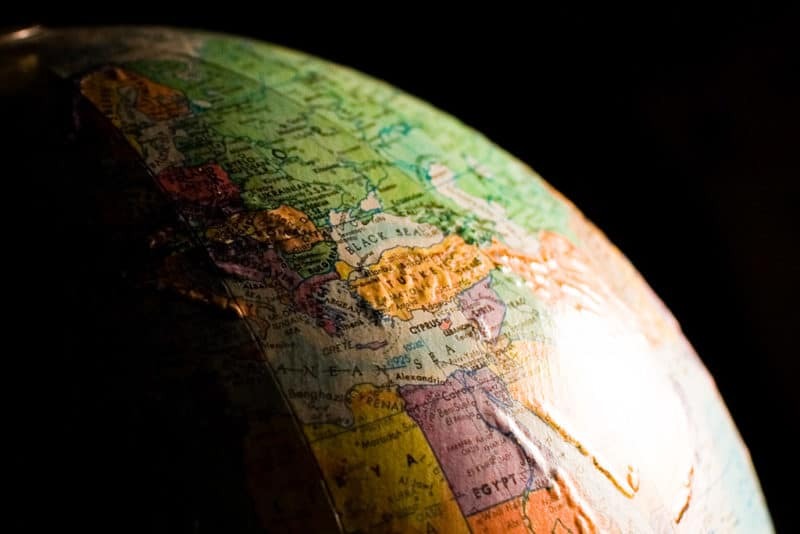 To help you plan a culturally diverse trip, here is a guide to traveling the world in NYC. Start your exploration of Europe in New York City by visiting the Austrian Cultural Forum, a free-to-enter museum featuring artwork by Austrian artists. There’s also the Swiss Institute Contemporary Art New York, the Czech Center and the Italian Cultural Institute of New York, just to name a few. Next, head to Bryant Park and learn to play pétanque—a traditional French ball game similar to Italy’s bocce ball—with the New York City Pétanque Club. For a European-inspired stay, hotels like The Kimberly and Hotel Elysée offer European-inspired décor and a range of luxury amenities for a comfortable stay. In terms of dining, your options for authentic European fare are limitless. Head to Tavola in Hell’s Kitchen for regional farmhouse Italian cooking and dishes prepared in a 7,000-pound wood burning Vesuvio clay double oven. Dining at Cantine Parisienne in Nolita offers everything from a very Parisian breakfast of café et croissant to croquet monsieur or sardine sandwiches for lunch and dinner of filet au poivre paired with wines from the owner’s family vineyard in Provence. For some Russian culture, Mari Vanna—named for a welcoming fairytale grandmother from Slavic folklore known for giving weary travelers homecooked meals—is decorated like an old-time babushka parlour and serves pickled vegetables, hand-made Russian dumplings, beef stroganoff, chicken kotletki and house-infused vodkas. And to relax after a long day of sightseeing, head to the Russian & Turkish Baths at 268 E. 10th Street for some traditional pampering. Start your exploration of Middle Eastern culture at the Islamic Cultural Center of New York—the largest mosque in New York. For something more interactive, there are numerous studios across the city offering classes in belly dancing, including Serena Studios in Hell’s Kitchen, Djoniba Dance Center in the East Village and the Mark Morris Dance Group in Brooklyn. After your class, relax at The Spa at Trump in the Trump SoHo, which boasts being NYC’s only hamman with luxury spa services. The spa menu features an array of services, including Middle Eastern-inspired offerings like Turkish and Moroccan hammans, threading, henna, ayurvedic massage and shirodhara. In the Middle East smoking shisha is a common practice, and the Big Apple is home to a number of hookah bars, such as Le Souk in the West Village, Egyptian Coffee Shop in Queens, and Kazuza in the East Village, where you can puff on flavors like tangerine and mint, coconut, jasmine and vanilla. And when it’s time to eat, you’ll have a number of authentic Middle Eastern restaurant options to choose from. Your best bet is on Atlantic Avenue in Brooklyn, where you’ll find establishments like Tripoli Restaurant, Damascus Bakeries, Bedouin Tent Restaurant and Halal International. The Israeli-owned Holyland Market in the East Village is another must-visit, filled with Middle Eastern specialties like zaatar, bamba, Milky and Israeli cous cous, as well as Israeli beauty products, cleaning supplies, movies, music and reading materials. In Brooklyn, Sahadi’s provides an experiential marketplace that will transport you to the Middle East. Argentina is the birthplace of salsa and Brazil is the capital of samba, but you can learn these dances at NYC dance schools like Piel Canela Dancers and Alvin Ailey American Dance Theater. Continue your exploration of South America at El Museo del Barrio, a small but interesting museum dedicated to South American art. A place you may not have thought of to explore South American history in NYC is Ripley’s Believe It or Not! Times Square, which is home to the world’s largest collection of human shrunken heads, possibly the former enemies of the Jivaro warriors of the Amazon jungle (the only people known to have shrunken heads). To find some of the most authentic South American restaurants in New York City you’ll need to head to Queens, where more than half of the city’s Peruvian, Colombian and Ecuadorian residents live. Restaurants like El Ancla (Peruvian), La Fonda Antioquena (Colombia) and Delicias Manabitas (Ecuadorian) will give you an authentic taste of the culture. Miss Favela in Brooklyn—a Brazilian venue with live samba and feijoada—is also worth a stop. 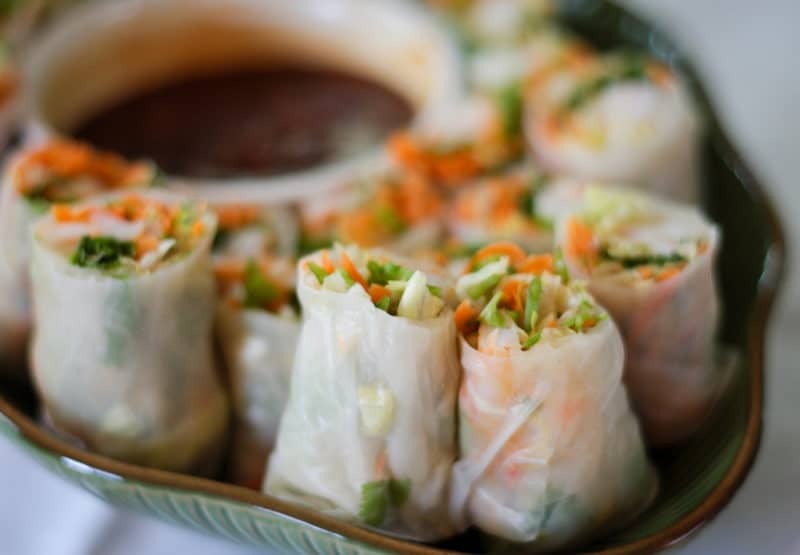 New York City is full of ways to experience Asian culture, especially in neighborhoods like Chinatown, Koreatown and St. Mark’s Place, where you can find authentic cuisine void of American influence (sorry, no California rolls at these Japanese restaurants). If you’d like to sample a fusion of different Asian influences, Pig and Khao on the Lower East Side features a menu inspired by chef Leah Cohen’s travels through Vietnam, Thailand and the Philippines, with dishes like grilled pork jowl with spiced watermelon, chicharron and toasted rice; melt-in-your-mouth pork head; and green mango salad with charred chicken, lemongrass, mint, coriander, cashew and dried shrimp. Stay at The Pierre, A Taj Hotel, for some authentic modern Indian opulence. The property features traditional touches like a bronze statue depicting Kali, the goddess of eternal energy; coffee table books recounting the lifestyle of the rulers of Rajasthan; and artwork by Indian artists. Moreover, the onsite restaurant serves traditional Indian cuisine while the spa offers traditional Indian therapies. Another option is The Kitano, NYC’s only Japanese-owned hotel, with authentic Japanese décor, artwork and Michelin-rated kaiseki cuisine restaurant Hakubai. Begin exploring Asian culture at the Rubin Museum of Art, which is dedicated to Himalayan art; the Museum of Chinese in America, which hosts Chinese art exhibitions, lectures and artifacts from the immigrant community; and the Asia Society Museum, where you can see everything from traditional Asian art to contemporary Asian American works. And for a truly traditional spa experience, Health Trail in Chinatown operates under a “no pain, no gain” philosophy, typical of Chinese bodywork. For an African experience in New York City, book a stay at the Marrakech Hotel on the Upper West Side, which features an Moroccan-style lounge, Moroccan lamps, vibrant fabrics and ceramic tiles. 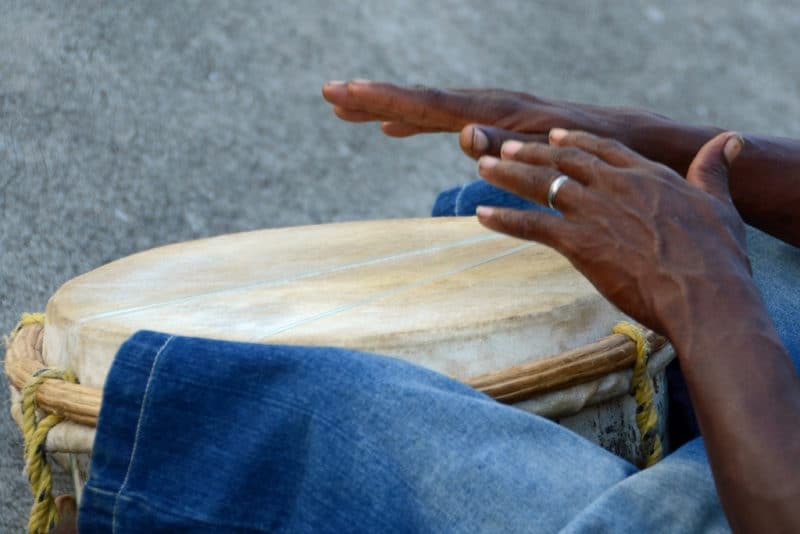 To have a musical cultural experience head to Cumbe: Center for African and Diaspora Dance, where you can take a class in anything from West African Drumming to Samba/Afro-Brazilian Dance. If you enjoy perusing beautiful works, the Museum for African Art showcases works and exhibitions relating to African culture and analyzing important topics and issues. Another interesting experience is the African Burial Ground National Monument, a place where both free and enslaved Africans were buried between the 1690s and 1794. Lost to land development for decades, the burial ground was rediscovered in 1991 and is now a sacred place visited by many. And to explore African culture through your tastebuds, you have a number of excellent options. First off, Joloff in Brooklyn serves up authentic Senagalese home cooking, with dishes like yassa ganar, a chicken braised in lemon and onion sauce served on rice; dibbi, a meal of marinated grilled lamb chops; and mafe jeun, fish and vegetables cooked in a peanut butter sauce. Papaye is another top choice, serving up authentic Ghanian fare for their many Twi-speaking patrons. And at Queen of Sheba in Hell’s Kitchen, patrons are introduced to traditional Ethiopian food and culture.